Unfortunately, you’ve allowed your tooth decay to go untreated for too long. As a result, you’re in a rather tough spot, as the pain gets worse by the week. 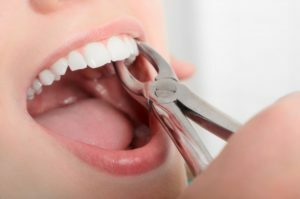 Knowing that something must be done immediately, you wonder whether the damaged tooth will need to be extracted or your dentist in Cummings will be able to salvage it and perform a root canal. These and other questions will be answered as you continue reading. Root canal therapy is used to treat a tooth that has suffered severe decay. Thus, bacteria have traveled through the enamel and dentin, and have arrived at the pulp – the area where the tooth’s canals are housed. Located inside the canals are the nerves, which is why you are experiencing intense pain. Every time you eat or drink on that side of the mouth, the food and bacteria have direct access to the nerves. So if enough healthy material remains, your dentist will perform a root canal to restore the full function of your tooth. Thanks to advances in dentistry, the root canal procedure is rather simple. Your dentist will first apply local anesthetic to numb the area where the work will be done. He will then drill down to the affected area and remove the decayed tissue. After thoroughly cleaning the area, he will pack the hollowed tooth and seal it, fully restoring its original function. Still, though, there are situations where root canal therapy is not feasible because too much of the tooth has decayed. What Happens When the Tooth Can’t be Salvaged? Like root canal therapy, the process starts with your dentist delivering local anesthesia. Next, he’ll use a special tool to grab the tooth, gently rocking it back and forth to loosen it from the jawbone and ligaments that hold it in place. Once the tooth is removed, a gauze pad will be packed into the socket and you’ll be instructed to bite down on it to help stop the bleeding. The space vacated by the tooth extraction will need to be restored, and the surest method available is a dental implant. This procedure involves your dentist surgically inserting a titanium post into your jawbone to replace the missing tooth root and then adding a permanent fixture to sit on top of it. This can be avoided, though, by contacting your dentist sooner to restore your damaged teeth to normal. Chances are that the sooner you reach out to schedule an appointment the less invasive and complex the procedure has to be. Dr. Brian Lee graduated from the University of Michigan School of Dentistry. In addition, he is affiliated with the Master of American Dental Implant Association and is a Fellow of the International Congress of Oral Implantologists. Dr. Lee offers expert and compassionate care at Dentistry at Windermere and can be reached for more information through his website.